Pistons | Surviving Minecraft, Minecraft Adventures! Slimes spawn rarely and they do so deep underground in places that are difficult to reach. Combine a relatively low spawn rate with the fact that they’ll only spawn if you hold your nose just right and you’re in for a frustrating time if you want to make a sticky piston. This tool generates a map that shows you where slimes are likely to spawn. You still have to find them yourself of course, so it’s not technically a cheat, it’s more a hint. A very strong hint. This entry was posted in Pistons, Tools on July 6, 2011 by Hope. 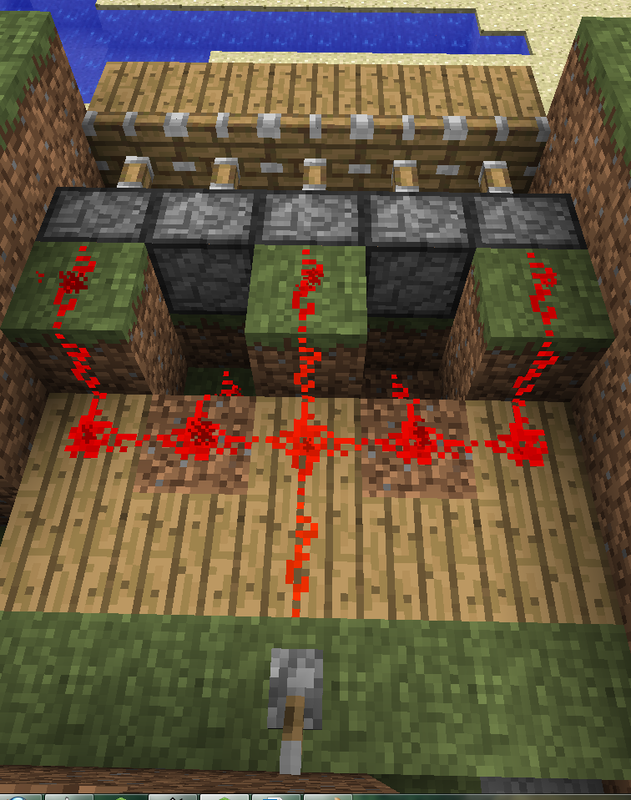 Pistons are useful for many things, including gates (finally, some way of creating a gate that doesn’t involve modding Minecraft or shoving a door in the middle of your fence awkwardly.) It’s actually pretty simple to make a retractable gate using pistons. I should note that the original design for this is not mine, but the cutaway showing how the design actually works on the inside is. This entry was posted in How To, Pistons on July 2, 2011 by Hope. This entry was posted in Minecraft Videos, Pistons on June 30, 2011 by Hope. The Minecraft Piston mod was so popular that Notch and the Mojangles decided to add it to the base game. This video demonstrates the behavior of pistons as they will be included in the 1.7 update. There are some interesting new dynamics, such as the ability of pistons not only to push blocks, but to grip them and move them forwards and backwards. Piston elevators are something of a reality, as are movable walls. Also included: piston dams! Oh and hidden doors with stairs that fold out, then retract. This entry was posted in Mods, Pistons, Updates on June 15, 2011 by Hope. An exciting new mod, the Minecraft piston mod adds moving, working pistons to the game. They’re not Steampunk pretty (yet) but they work. How do they work? Well pretty much as one might expect them to. They lift and push using the power of steam, or in the case of Minecraft, redstone. Especially useful is the fact that pistons operate on both the horizontal and vertical planes. They can also act as launchers. 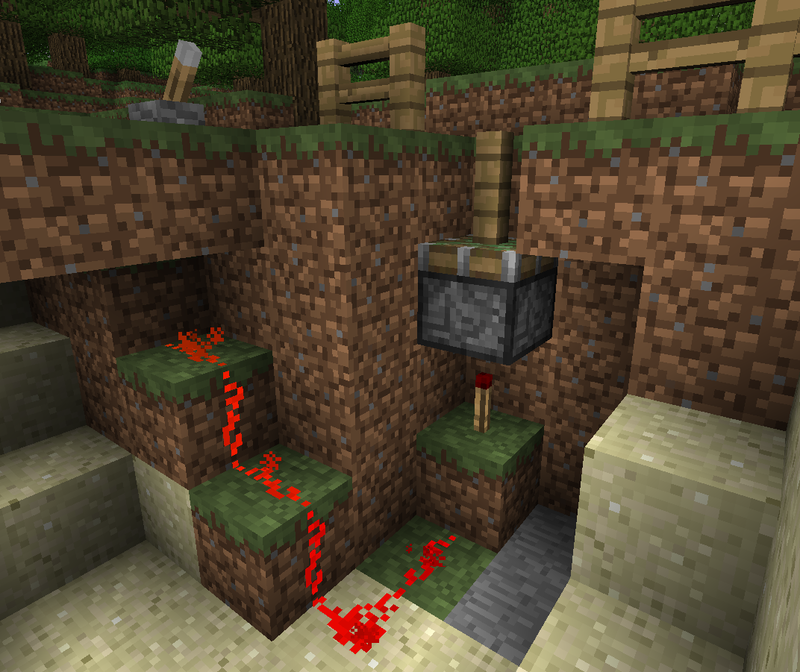 If you place a block like sand above the piston, it will be hurled into the air when the piston is activated. Fun and games for all the family! This entry was posted in Mods, Pistons on March 30, 2011 by Hope.